MAHENDRA RAMSINGHANI has over a decade of experience in fostering the growth of early-stage technology businesses. As Director-Venture Capital Initiatives for Michigan Economic Development Corporation (MEDC), Mahendra led the legislation for two Fund-of-Fund programs that deploy $200+ million in VC funds in Michigan. For his economic contributions, his US Citizenship was approved under "National Interest," a category reserved for less than 1% of the applicants. 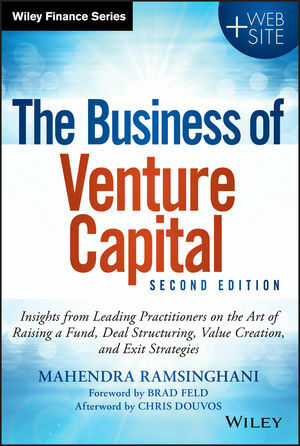 He is also the co-author of Startup Boards (Wiley, 2014) with VC and author Brad Feld. His articles have appeared in Forbes and MIT Technology Review. Mahendra's background includes a Bachelor's in Electronics Engineering and MBA with a major in Marketing & Finance. He lives in San Francisco, CA.